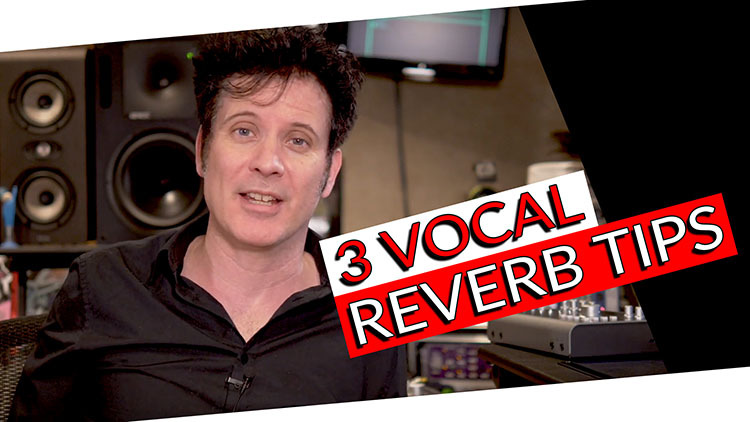 Before we get started talking Vocal Reverbs please bear with me, here is my thought process on these Vocal Reverb ideas I’m going to share with you! One of the biggest complaints from many Engineers is how ‘perfect’ Digital is. Firstly, a lot of what is considered ‘too clean’ could be the lack of extra harmonics created from hardware or tape saturation or the ‘weight’ that transformers bring, not to mention the distortion that ’Tubes’ (Valves where I’m from! haha) create. Secondly, using consoles adds another unique sonic footprint, randomness, yes, every channel differs, if we were to take a signal and put a test tone through every channel individually it would read slightly differently. One could argue that it is very slight, however those changes coupled with all of the first things we monitored are going add some ‘dirt’, ‘grit’, ‘weight, whatever you choose to call it it is randomness that we don’t get in digital! So…I like to mess things up a bit! My Vocal Reverb ideas below are all about this idea of randomness, they all can be created using stock plug ins! AND you can take these ideas and come up with your own! Some of you may know my Mixing Vocal Video in this video I use a low octave of the vocal, saturation and a whisper track, lot’s of random! The first trick is to use something other than the natural sounding vocal to go into the reverb. As i mentioned above in my Mixing Vocals Video I do an octave down but how about today we do an octave up? What this does is compress the reverb quite dramatically when David’s singing. As soon as he stops singing the reverb comes up (Side chain reverb) but that side chain reverb is being triggered by an octave up so the ambiance that’s created afterward is pretty awesome. All of these ideas are to take the reverb and treat it in a different way. It’s opening our minds to create more space. If you can create more space between the reverb and the dry signal it will help the signal stand out further in front. Try taking the reverb and messing up the signal going into it; either distorting, flanging, pitch changing, or all of the above! Try it, it’s a lot of fun. I’ve been talking about this for a long time and doing variations of it! I do it on drums mostly, but let’s try it out on vocals. Listening to the vocals in the track, I would probably think it was too much and I would end up turning it down till it’s barely there. Then I might compress it so you can hear it more – all the things we do. What the good folks at Abbey Road found was they could use high and low pass filters. So if we take a REQ, high pass and low pass, we can use their initial idea, 600hz and 10,000hz. This was their typical way of doing it. The volumes change slightly because there’s less information both high and low. It’s not so much about the volume, but the low end that caused all the muddiness has gone, in vocals in variably I usually come down to about 7K. A nice thing to do is to take out some of the mid-range aggression. If we go around 2k in the middle and dip it a little bit, it will get even sweeter. It’s a really simple, nice trick! If you do this kind of stuff and EQ into the reverb, use a little distortion, and try some ping-pong delays. Doing these kinds of things will give you your own individual vocal effects. Whatever your DAW, you can take this and mess with it and it will be your sound. Using two different mono reverbs, if you create two mono aux and pan one to the left and the other to the right make them solo safe and set one as a plate and the other as a large room with shorter time it will really creates width on the sides. I’ve sat in rooms with great mixers many times and seen 3, 4, 5 reverbs going at all times and they are sitting there and blending all the reverbs. We’ve gone and used only a stock reverb but we created totally different sounds with each one of those reverbs. You may not have five really expensive pieces of hardware reverbs but you sure as heck have a free reverb that comes with your stock DAW. Please download the cheat sheet it will describe these tricks/ideas and I hope to spark off many more in you. What are the kinds of things that you do? what kind of ideas do you think will work? There are so many fun things that we’re looking for that can twist it up and take it away from the regular. There are lots of YouTube videos out there telling you the same way to do everything but the reality is, let’s mix it up let’s get creative and grow your own individuality to create unique mixes that only you can do – your individual sound. Have a blast, let me know what ideas you have and share some really good tips and tricks.